Conveyor, dry sieve, paddle washing machine, rasper, centrifuge sieve, fine fiber sieve, sand removal unit, hydrocyclone unit, peeler centrifuge and flash dryer. a).Cleaning and washing machine: Dry sieve and paddle washing machine are separately responsible for cassava cleaning and washing. These cassava starch processing machine are simple in structure, excellent in performance and easy in installation. b). 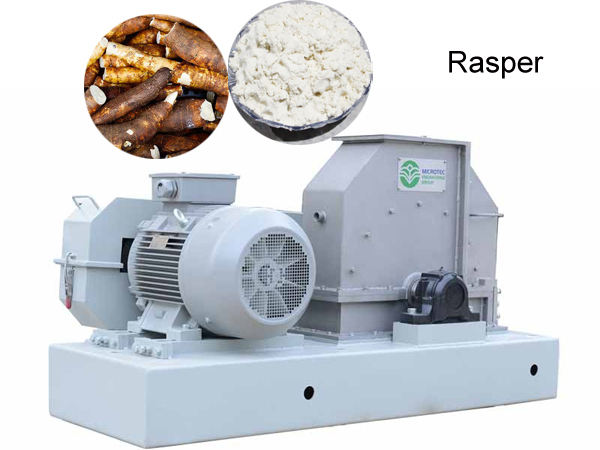 Grinding machine: Rasper is a widely used cassava starch processing machine whose main function is to grind cassava roots and release free starch. When rasper working, cell walls are torn up and the whole of the root is turned into a mass in which the greater part but not all of the starch granules is released. The percentage of starch set free is called the rasping effect. DOING rasper breaking rate is more than 94% in cassava starch production plant. c). Centrifugal extraction machine: Centrifugal extraction is another key unit of the whole process of extracting starch from cassava affecting the rate of cassava starch extraction. The starch centrifugal sieve and fine fiber sieve are cassava starch processing machine used for separating fibers out of starch slurry. d). 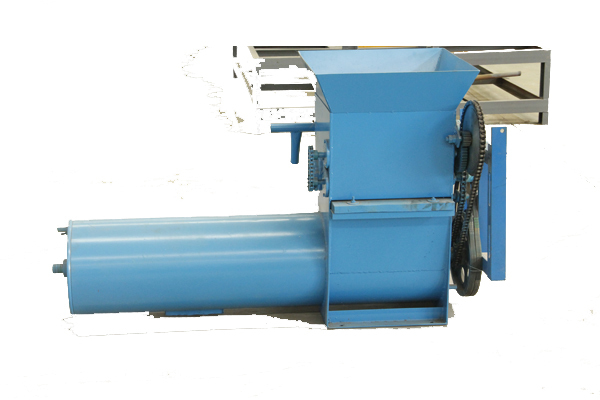 Sand removal machine: The starch slurry coming out of fine fiber sieve is pumped into a desanding cyclone to remove sand content for the process of making cassava starch. 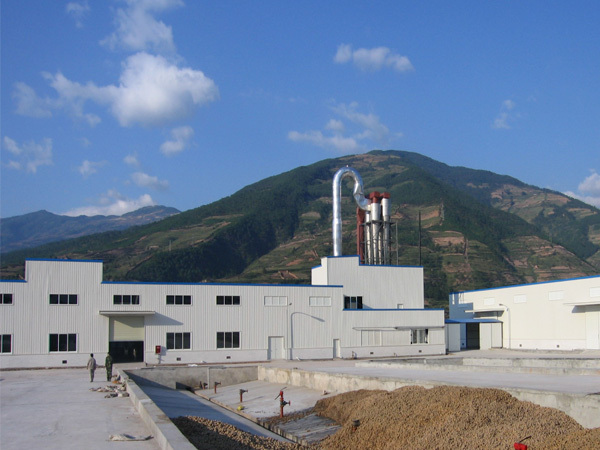 e).Concentration and refining machine: Cassava starch processing machine for refining is accomplished by hydrocyclone station, which is used for separation of fine slag, protein separation, washing, concentration and refining of starch slurry. f). Dehydrating machine: Peeler centrifuge is the extensively used cassava starch processing machine for starch dehydrating process. The siphon peeler centrifuge is a high efficient machinery which can increase production capacity by 50% and can decrease moisture content to 36.5%. g). 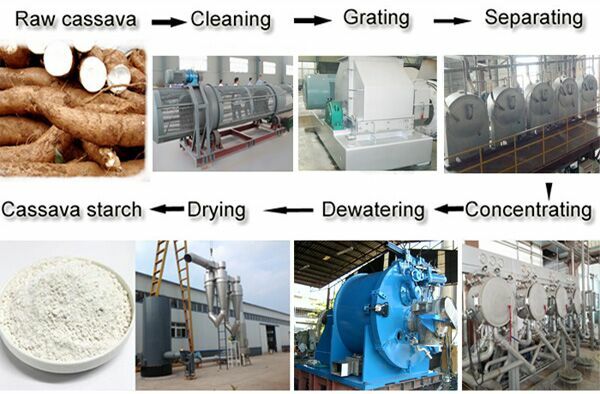 Starch drying and packing machine: Flash dryer is the cassava starch processing machine used for drying. The negative pressure in the whole system can effectively control the loss of starch and meanwhile purifies the working environment. Then the collected starch is packed by semi-automatic packing machine into 25kg or 50kg. 2.Power: 380 volts, 3 phases, 50 Hertz, the largest floating voltage 6% and 4% of the maximum frequency of floating. 4.Water: The extraction Section 15-20 cubic / hour, in line with the drinking water standard. Section 10 cubic cleansing / hour, it can be part of the cycle and also be used for later water. （User-owned boiler）the burning stove can also be used in plant. a. Cassava cleaning unit: The most important part of this unit in cassava starch manufacturing process is that the sand, stones and sundries mixed with cassava when harvest should be removed. The vibration and rotation of the dry sieve can make the sand that sticks to the cassava fall off. Preliminary sand removal can alleviate the burden of the cassava starch processing machine for the later washing section. b. Cassava washing unit: Cassava is transported into the paddle washing machine through belt conveyor in cassava starch manufacturing process. 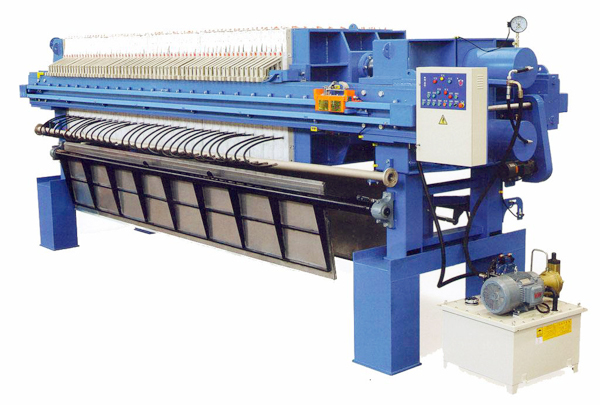 Adopting the principle of counter-current washing, the direction of the flow of water in this machine is opposite to that of the material being washed, thus achieve a better washing effect. 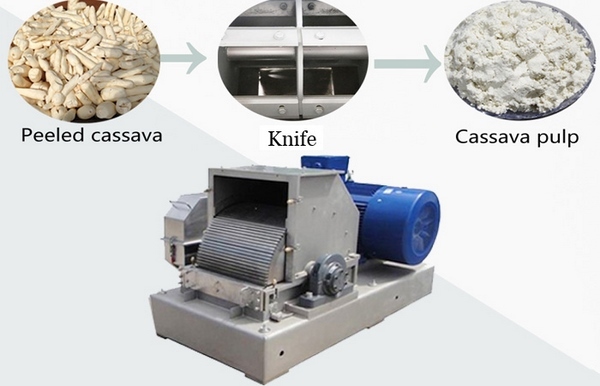 c. Cassava grating unit: The function of grating equipment in cassava starch manufacturing process is to grate cassava to break the structure of cassava so that the small starch granule can be released. As professional cassava starch processing machine supplier, Doing Company use rasper for grating. This equipment features with compact structure, high speed, high grating coefficient, even particles and high extraction rate. It introduce Germany Optibelt and Sweden SKF bearing, which is an achievements of Doing Company. d. Fiber separation unit: There are two machines are needed for fiber separation process: centrifuge sieve and fine fiber sieve in cassava starch manufacturing process. The parts contact material parts of these cassava starch processing machine are made of stainless steel which can effectively prevent material from polluting so as to ensure the high quality of final starch in cassava starch production line. e. Starch refining hydrocyclone: Hycrocyclone station is a cassava starch equipment used for removing fiber, protein, and cell sap of starch slurry to achieve the concentration, refining, recovering and delicate scrubbing starch milk in cassava starch manufacturing process. The hydrocyclone pipe is made from material of strengthened nylon which is sturdy and durable. What's more, the internal structure is computer designed which is elegant and compact. f. Dehydrating unit: Dehydrating is used to reduce the water content to facilitate drying in cassava starch manufacturing process. At present, peeler centrifuge is often used for dehydrating which can effectively decrease the moisture content below 40%. 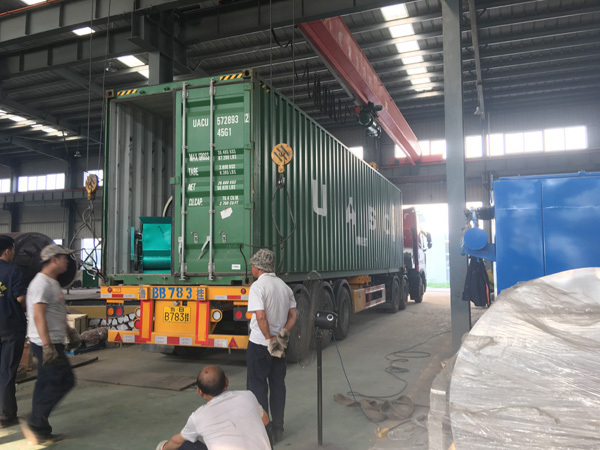 g. Drying and packing unit: The last but one step is drying whose main function is to dry starch milk to reach the desired quality in cassava starch manufacturing process. 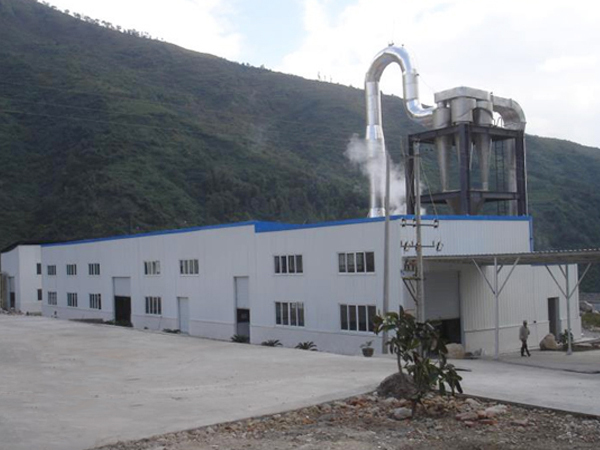 To ensure the moisture uniformity of final starch, DOING flash dryer is designed with special cooling system. After drying, the finished starch is packed and weighed for storage. The role of this unit in potato starch production plant is mainly to remove the sediment from the outer skin of the potato, and wash away the epidermis of the roots of the potato. Cleaning the fresh potatoes as raw materials for the production of starch is the basis for ensuring the quality of the starch. The cleaner the raw material, the better the quality of the starch. The grinding unit is one of the most important part for potato starch production plant which determines the potato starch extraction rate. High-efficiency rasping machine allows the starch granules in potato cells to be completely released, ensuring that the combined starch content in the potato residue is minimized. DOING rasper is a high efficient machine which fully absorbs international advanced technology and has the features of high extraction rate and high grinding rate. 3. Separating the unnecessary parts and extracting pure potato starch. First of all, according to the physical and safe way, by working with the centrifuge sieve, the potato starch processing machine will play the role of separating the fiber in raw material. Then use a desander to remove the sand content which influence taste of potato starch. Hydrocyclone station that can recover the lost fine fibers, starch molecules in the protein and cell fluid, thereby increasing production, followed by the role of refined concentration in potato starch production plant. The moisture content of the starch milk coming out from the hydrocyclone station is too large to be directly dried. Therefore, the starch milk should be dehydrated first in potato starch production plant, so that the moisture content of the starch is about 38%-40%. Vacuum filter takes use of negative pressure to complete the dehydration of starch. For drying process, we use flash dryer for this potato starch production plant. The whole process time of air drying is completed in an instant, so the internal moisture of the starch granules is dried before gelatinized. 4. Stable performance, easy operation and maintenance. 1. Cleaning and washing: Cassava root needs to be processed immediately after harvest because the root is highly perishable, and the enzyme process accelerates deterioration in 1-2 days. Cleaning in cassava starch processing plant serves to remove the sediments attached on cassava and outer peels of cassava. Then cleaned cassava enters into paddle washing machine for further remove the soil, dirt and other impurities with countercurrent washing method. 2.Cassava grating: Grating machine serves to grate cassava into slurry to release the starch inside of cassava. Recognizing that crushing is the key to cassava starch processing plant, people began to pay attention to the high efficient cassava starch processing machine for grating. In the effort of constantly innovating the technology and widely absorbing the advanced technology both at home and abroad, Doing Company has developed an efficient grinding machine whose grinding rate can reach up to 95% which can fully release starch granules inside of cassava cells. 3.Starch and residue separation: Separation is mainly used for removing fibers out of starch slurry in cassava starch processing plant. The efficient cassava starch processing machine used for the separation of starch from cellulose fiber is the centrifuge sieve and fine fiber sieve. The starch slurry is put in a conical basket and centrifugal action separates the starch dispersion from the fibrous pulp. 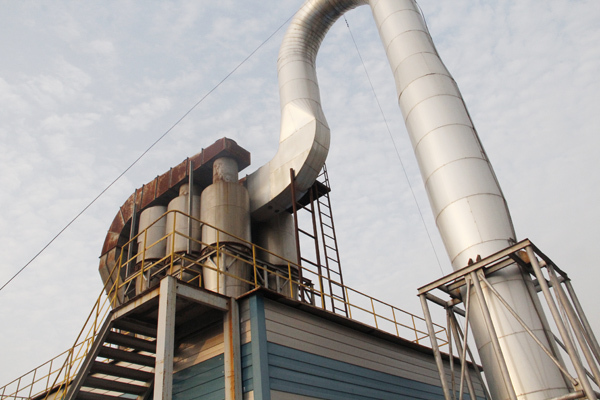 4.Cyclone desanding: This cassava starch processing plant is mainly to remove sand out of starch slurry so as to improve the cassava starch taste. 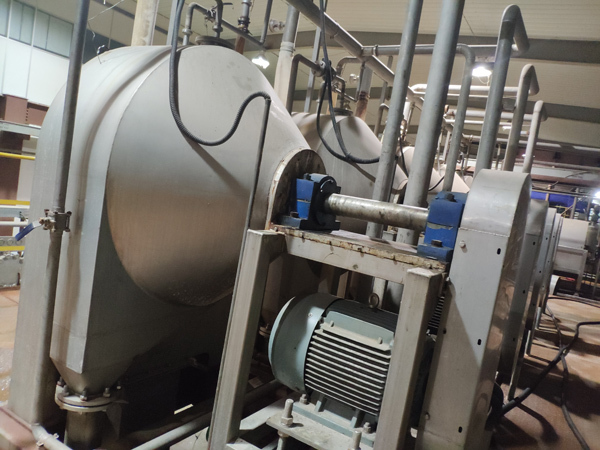 5.Enrichment and purification: Using hydrocyclone station to remove protein, fine fibers and cell liquid out of slurry to improve the whiteness of starch. 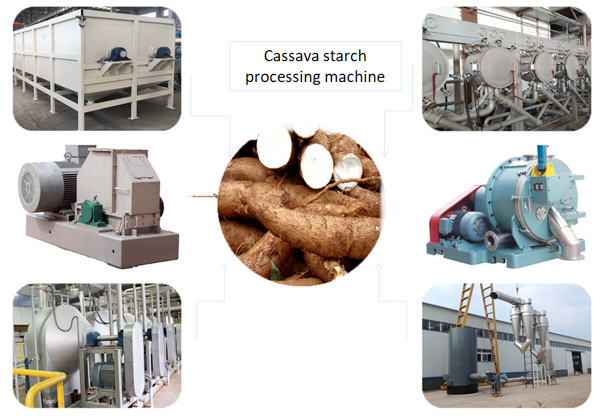 In cassava starch processing plant, hydrocyclone system can achieve the enrichment, recovering, purification and washing of starch slurry in cassava starch production line. 6.Dehydration and drying: Peeler centrifuge is a cassava starch processing machine widely used for cassava starch milk dehydrating. Moisture content after dehydrating is supposed below 40%. Doing Company offer high efficient Siphon type peeler centrifuge which can effectively reduce water content of starch to 36.5%. 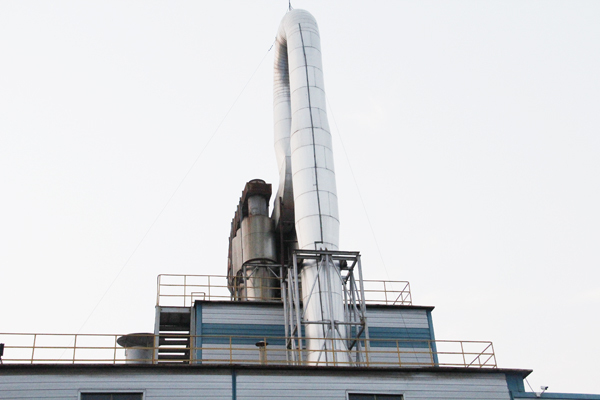 Flash dryer is used for wet starch drying in cassava starch processing plant. And this cassava starch processing machine is characterized by high heat transfer coefficient, large heat transfer area and short drying time. Cassava can be engaged in the production of cassava starch, cassava flour and garri. And the garri processing plant mainly consist of the following procedure: cleaning, washing, peeling, grinding, dewatering and frying. And the mainly used garri processing equipment includes cleaning machine, paddle washing machine, peeling machine, rasper, hydraulic press and garri fryer. Doing Company is a cassava deep processing machine manufacturer, our garri processing equipment featured with high efficient and reasonable price. The first garri processing equipment is cleaning machine. The chosen cassava is transported into the cleaning machine by feed hopper. With the help of the cassava cleaning machine, the raw cassava which contains many small stones, dirt and sand is cleaned. This garri processing equipment is mainly for washing the sand, soil and other impurities attached on cassava. In garri processing plant, we use paddle washing machine for this section. DOING paddle washing machine adopts the countercurrent washing principle to wash the material which can effectively remove the impurities. This garri processing equipment can achieve a peeling rate more than 95% which is advanced and high efficient compared with other company in garri processing plant. The roots are peeled to remove the outer brown skin and inner thick cream layer after the peeling process. Grating plays a vital role in the extraction rate of cassava, therefore a high efficient garri processing equipment is required for high garri yield in garri processing line. DOING rasper is a high efficient equipment which fully absorbs the advanced technology form home and abroad. 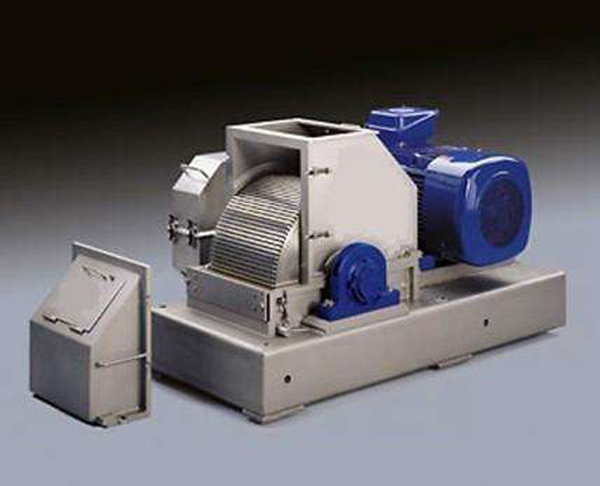 It has the features of high speed, high grating rate and high extraction rate. 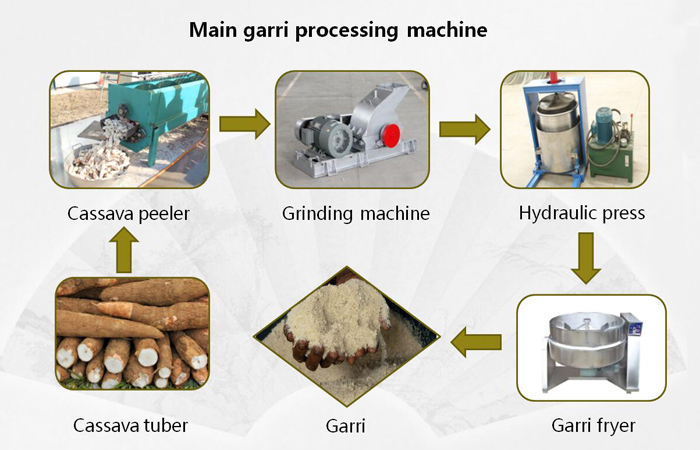 After grating, there is the dehydrating process.The main purpose of this garri processing equipment is to squeeze the water of cassava to reduce the water content.The used dewatering machine adopts the principle of hydraulic press which can work efficiently.This garri processing equipment especially fit for small scale garri production. This is the final garri processing equipment, which is for the drying of the product.The frying machine is called garri fryer which is a automatically frying device.This machine can also control the temperate so that the garri will not get over fryed. This customer came from France, he invest a garri processing plant in Tanzania because Tanzania has enough cassava supply and labors. Now the machines used in the process of making garri from cassava have been installed in Tanzania and came to operation. It bring great economic benefit to customers. Doing Company is professional in cassava deep processing machine manufacturing, installation and debugging. If you are interested in garri processing line, please contact our sales manager. Cassava flour is extracted from cassava roots. As an important cassava deep processing products, cassava flour is widely used for food, fodder and other industry. DOING cassava flour processing equipment adopts the new technology, from fresh cassava roots to final cassava flour packaging only takes less than 30 minutes which is high quality, high efficiency and energy saving. The steps for processing of cassava into flour is mature technology, advanced equipment, scientific and rational process. 1. Cleaning: Cleaning is the first cassava flour processing machine in cassava flour processing line. The cassava is transported into dry sieve by belt conveyor for cleaning. The sand, soil, weed, stone and other impurities are removed in this process. 2. Washing: The cleaned cassava is then transported into paddle washing machine for further removing sand, soil, dirt and other attached debris. By adopting countercurrent washing principle, this cassava flour processing equipment can effectively remove the impurities in cassava flour processing plant. 3. Grating: The role of grating is to destroy the structure of cassava, so that tiny particles can be disassembled and released from the root. This is the most important cassava flour processing equipment for it determines the cassava flour yield. In cassava flour production process, rasper is a widely used grating. DOING rasper absorbs advanced international technology which can achieve a breaking rate more than 94%. 4. Dewatering: Before drying operation, cassava flour need to be dewatered to reduce moisture moisture content for preparing drying. 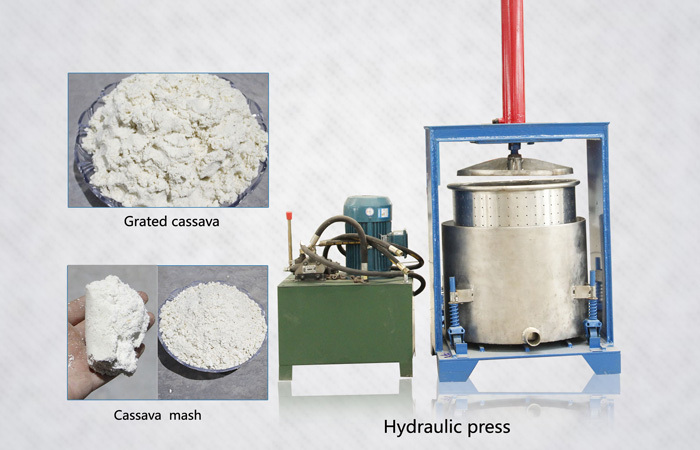 In dewatering section, the water in cassava slurry is mechanical removed by cassava flour processing equipment. 5. Drying: Cassava flour drying is done by flash dryer for processing of cassava into flour. The water in wet cassava flour evaporate by high speed hot air flow of this cassava flour processing equipment to desired quality. Then the dried cassava flour is further sieved to get finer particles cassava flour. And the final cassava flour is then packed by automatic packing machine. The cassava is a good material used for cassava starch production plant because it has a high starch content, but contains less protein and fat. Some unique properties of cassava starch are not replaceable by other starches, so they are widely used in the food industry. 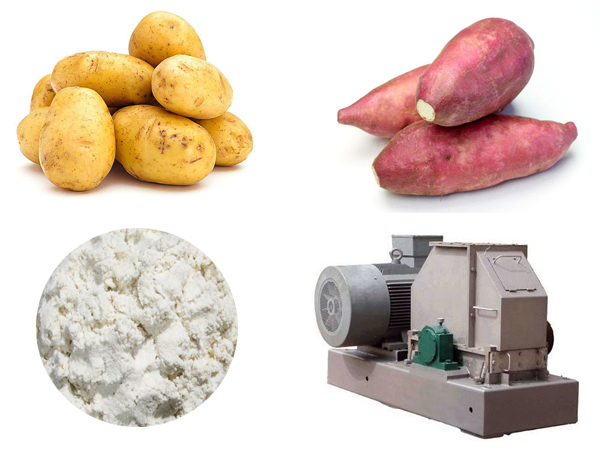 Meanwhile because of their good edible properties, they are more widely used in the field of starch processing industry. 2. Washing: The cleaned cassava is then transported into paddle washing machine for further removing sand, soil, dirt and other attached debris. By adopting countercurrent washing principle, this washing machine can effectively remove the impurities in cassava starch production plant. 3. Crushing: As the most step in cassava starch production plant, the purpose of crushing is to destroy the structure of the cassava, so that the tiny starch granules can be smoothly separated from the roots. The starch released from the cells is called free starch and the starch inside the cell in the dregs is called bound starch. a. Separating section: In cassava starch production plant, separating is mainly for the separation of fiber and starch slurry. The centrifuge sieve is a cassava starch processing machine mainly used starch separation machine which takes use of high speed centrifugal force to remove fibers. And multi-stage centrifuge sieve is adopted for better separating effect. Then the starch slurry enters into fine fiber sieve for further separating fine fibers. b. Desanding: The purpose of desanding in cassava starch production plant is to remove sand impurities so as to improve the cassava starch taste. 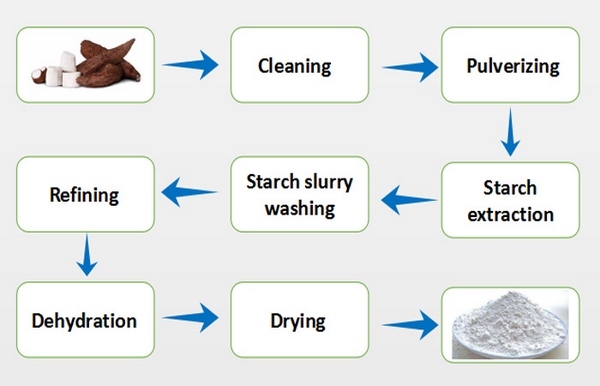 In cassava starch production plant, the starch enrichment and refining process is to separate insoluble protein, residual soluble protein and other impurities from starch slurry so as to achieve the purpose of washing, refining and enrichment of starch milk. Hydrocyclone station is used for this purpose. 6. Starch dehydration: The moisture content of the starch milk coming out from the hydrocyclone station is too large to be directly dried. Therefore, in cassava starch production plant, the starch milk should be dehydrated first, so that the moisture content of the starch is about 38%-40%. 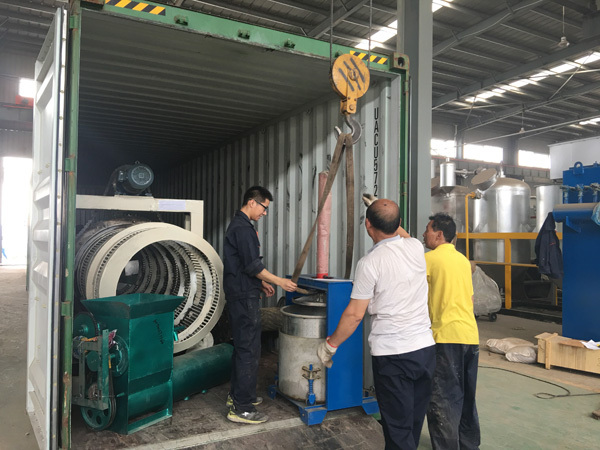 For cassava starch production plant, the dehydrated starch cake is conveyed to the feed port of the airflow dryer through a conveyor belt and enters the lifter through the feeder. 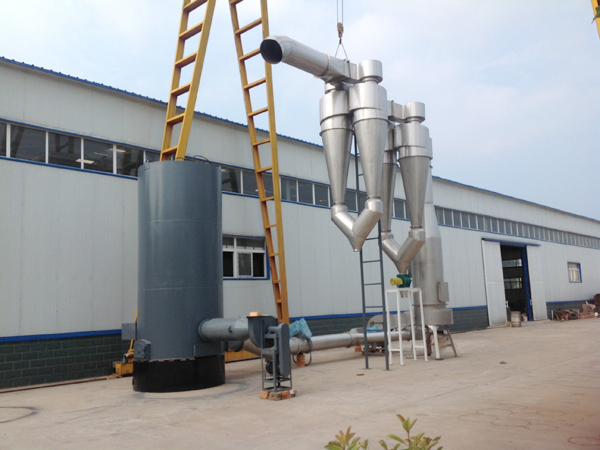 The heat source of the airflow dryer is a steam heat exchanger.